Who knew two of my favorite things would come together in one weekend? I volunteered to help at this year’s Electric City Comic Con so I knew I would be immersed in comics and in the company of folks that enjoy them. 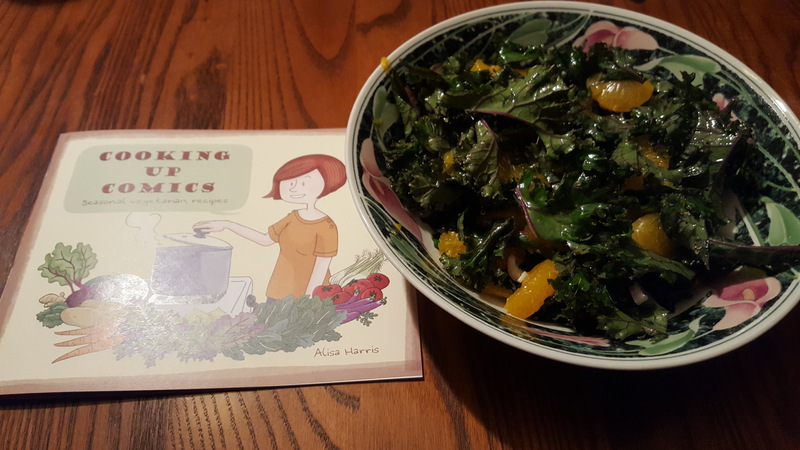 I had to buy and then recreate one of her adorably illustrated recipes. Full disclosure, I did use Mandarin Oranges, French Shallots and Key Lime juice in place of fresh orange segments red onion, and regular lime juice. It still came out both lovely and tasty!